The controversial half-breed, the beargle has finally been banned after their close cousins, bears have lay waste to humanity. 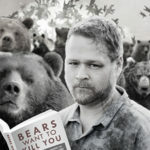 Beargles themselves kill without hesitation and have been criticized as unsafe for neighborhoods where families live just because they eat children. 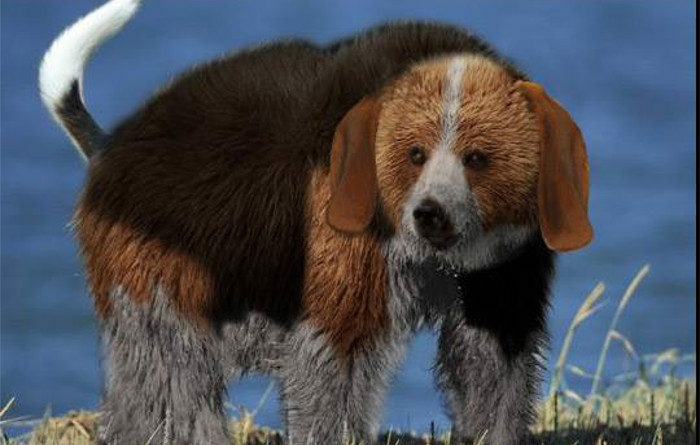 The breed is half beagle and half grizzly bear. It possesses an insatiable desire for blood and human loss of life, but for some people, the beargle is a cherished family member, despite its propensity to murder family members. “It’s not as bad as people make it out to be. 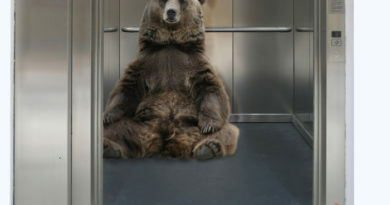 Yes, they bite, take off limbs, kill… but humans do that to fried chicken all the time,” said beargle breeder Linda Runket. “They really are sweet animals.” Runket is missing her left arm, half of her right leg and part of her face. Families with beargles have resisted the new measure, saying that beargles are misunderstood and given a bad rap by the media. What do you think? 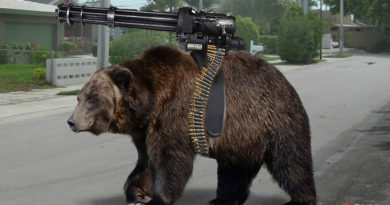 Should beargles be legal? Nothing triggers a killing frenzy in Bears like typos. Unless it’s thinking of typos. Since they’re closer, I just mauled the family next door. On your head.